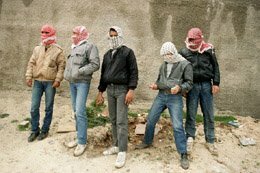 This is an investigation into the first Israeli casualty of the Palestinian uprising, the Intifada. The documentary depicts how Palestinians in the West Bank village of Beita were punished for the death of a young Jewish girl, even though the girl had been mistakenly shot by Jewish settlers. The incident made international headlines and led to world wide focus on the Palestinian issue.